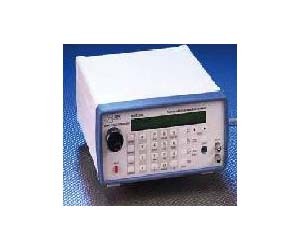 The Model 630 and 632 Arbitrary Waveform Function Generators represent the finest single source for signal generation to date. Combining the latest DSP and DSS technologies, the Model 630 and 632 offer a number of operating modes, providing a versatile, cost-effective signal source. You will find the Model 630 and 632 are an excellent value for any bench. Arbitrary Waveform Function Generator, Sweep Function Generator, Pulse, VCO, AM, FM, ? Modulation, FSK and Burst Modes are all accessed quickly and easily from the front panel keypad. The 630 user-defined waveform capability eliminates the phase shifts, added data points and dropped data points associated with traditional designs. In traditional designs, when the number of data points and the desired output frequency do not match exactly with the internal timing, data points are either repeated or dropped. What''''s more the dropped or repeated data points are not necessarily the same ones each time the arbitrary waveform is constructed. In the traditional designs, when the sampling clock rate and the total points in the waveform are not exactly matched, the sampling of the data points results in phase shifts as well. The 630 is a "true arb" with fully synchronized outputs.